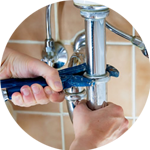 If you’re struggling to find a competent and reliable Plumber in Ewell, The Handy Squad have got the answer. 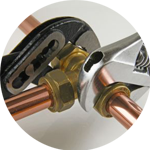 For over a decade, our expert team have managed to develop an unrivalled level of knowledge and expertise for anything related to the plumbing trade, enabling them to complete any job to an exceptional standard and within an effective time-frame. 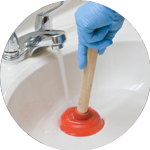 There won’t be any task your Plumber in Ewell won’t be able to handle, as their years of experience has seen them complete even the most unpleasant and arduous plumbing tasks. Your Plumber in Ewell will be able to assist with anything that relates to; Replacements, Unblocking, Installations and Repairs. Ewell is a suburban area located in the Borough of Epsom and Ewell. The area plays host to Ewell Court, which has a memorial to King George V, situated in King George’s Field. 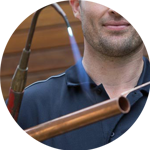 The Handy Squad have managed to build a credible reputation for many more trade services besides plumbing. We also have a Handyman in Ewell, who will be able to assist with any general trade tasks within family homes or work places. They can help with; Flat Pack Assembly, Hanging things up, Tiling and Odd Jobs. We also provide Electricians in Ewell, who are guaranteed to complete electrical tasks both safely and proficiently. Services they provide include; Fault Finding and Repairs, Lights, Replacements, Installation and Electrical Installation Condition Reports. To book your handyman, electrician, decorator, carpenter, or plumber in Ewell, fill out the online booking form.